Viton Needle Float Valve For Marvel Schebler Carburetors Fits Oliver: 88, Super 88, 90, 99, 550, 660, 770, 880, 1555, 1600. OC9 PLEASE SEE CARB #'S BELOW. Viton Needle Float Valve For Marvel Schebler Carburetors Fits Oliver: 88, Super 88, 90, 99, 550, 660, 770, 880, 1555, 1600. OC9 PLEASE SEE CARB #'S BELOW. TSX99, TSX181, TSX221, TSX374, TSX394, TSX396, TSX477, TSX755, TSX775, TSX868, TSX880, OC9 with Carb#: TSX397, and OC12 with Carb#:TSX399. 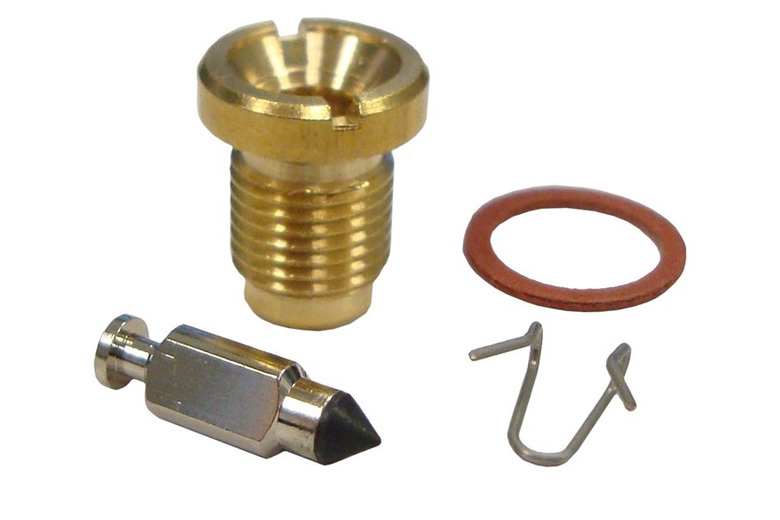 Viton Needle and Seat Valves help stop Carburetor flooding. Made in the USA.